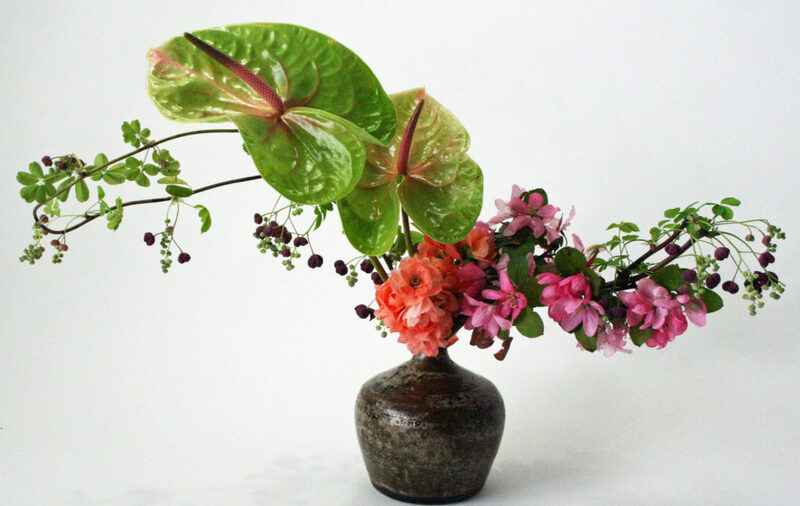 A simple inoribana today, using flowers from the garden. The yellow narcissus are in full bloom and have lovely leaves to use. Soon the other varieties of narcissus will be in bloom too. Lovely blooming branches are appearing all around the neighborhood. I think spring is here at last!